How a bias to action rather than a reflex for planning speeds successes. How to achieve a structure that makes the creative process sustainable. David Kelley’s human-centered “design thinking” requires building empathy for the end-users of whatever product, service or environment you are creating. This empathy helps you understand users’ needs and gives you the motivation to make their lives better. But empathy alone is not enough. If you want to innovate routinely, you must have a process. And you must be mindful of your process so you can improve upon it every time you go through it. 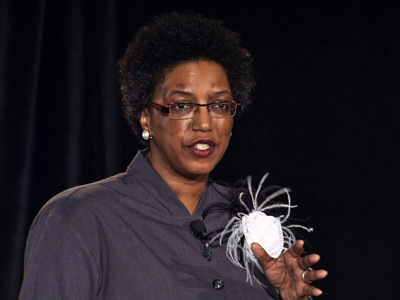 Kelley acknowledges that development of analytical skills is still required, but believes our creative side has been underserved in traditional education and business environments. He describes how “guided mastery,” a bias toward action, early prototyping, and waiting to plan until after you have the idea, are secrets that lead to successfully creative teams and innovative companies. 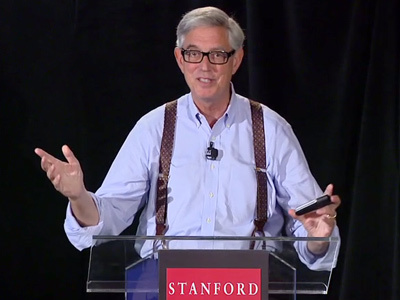 David Kelley is distinguished not only as the founder and head of Stanford’s Institute of Design, or “d.school,” but also as the founder and chair of IDEO, a worldwide leader in business innovation processes and user-centered design. 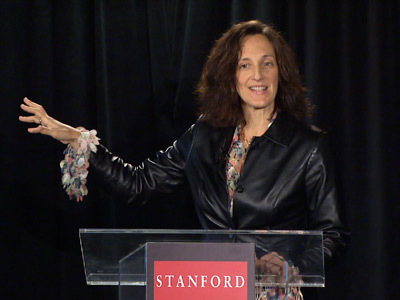 Among numerous awards, Kelley was recognized in Stanford’s 100-year retrospective on academic excellence for encouraging “the melding of can-do spirit with limitless imagination.”. Jim Plummer is a member of the National Academy of Engineering and a fellow of the IEEE. At Stanford, he has previously served as director of the IC Laboratory and chair of the Electrical Engineering Department.